James' photographic imagination begins with a genuine love of the land and his unshakable lust for adventure. Brought up in Michigan on wild flower walks and backpacking trips, he learned to cherish wild places. At age eleven his father gave him a powerful tool for sharing these places with others—a camera. His passion for these places, and the plants and critters that inhabited them, grew hand-in-hand with his development as a photographer. His family gave him more than a camera however, they gave him an example of what people do, who truly care for the land. From the strong farming heritage his grandparents provided, to the conservationist service of his mother and great grandfather, James had much to aspire towards. After studying plant science and sustainable agriculture at Michigan State University, he went on to teach kids about where their food comes from and about the plants and animals in their backyards. He then worked on organic farms across the US, from Georgia to New York State. While in New York, he found the love of his life. In 2017 he returned home to Michigan to be with his family and to start a family of his own. After nearly two decades of photography, James Manning's work is about more than just capturing the beauty of a place. It is a compelling visual plea to appreciate and protect our wild places and to support farmers that thoughtfully care for the land. It is from this vision that the Shutter Steward project came into being in 2014. 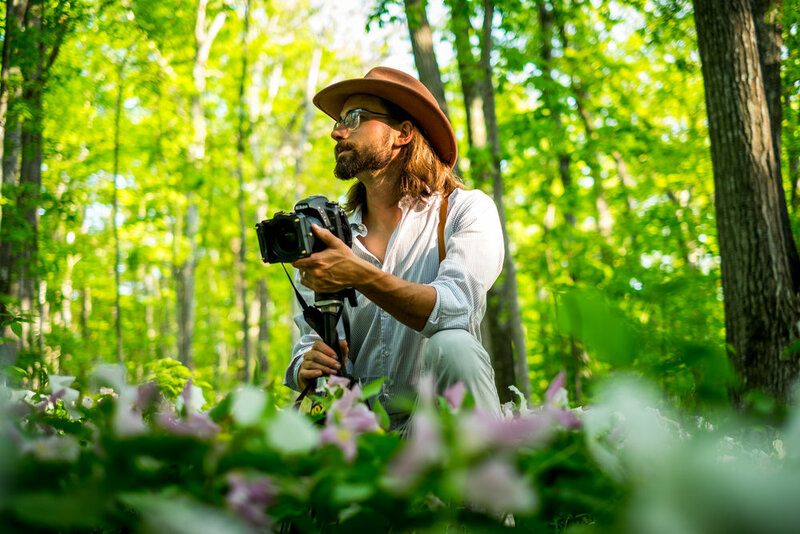 James sought to utilize the art of photography to inspire stewardship of our wild places and farmland. In 2017 this was expanded to include the preservation of our dark sky's, with the launch of his Starscapes series.